A unique blend of 60% Xarel�lo and 40% Chardonnay this is sure to become a favorite. Made with organic grapes, the wine is unoaked, exotic, and crisp. A floral and citrus nose unveils a palate that is fresh with notes of peach, nectarine, honeysuckle and orange/lemon zest. Nuances of mineral and almond on the finish. 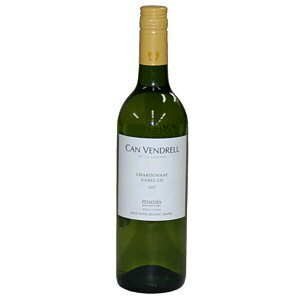 Terrific food wine try it with Seafood, Mozzarella, and Mexican or Latin Food. Try it with our Brie cheese for a delightful combination. About Xarel�lo: Xarel�lo (pronounced "Charrel LO") is a white grape grown in Catalonia (north-east Spain). It has good body and high acidity and is most often used as a blending grape in the Spanish sparkling wine called Cava.